Simon & Schuster, 9781451605815, 203pp. What if...William Shakespeare had written The Big Lebowski? The Dude has met the Bard--and he doth abide. Join "The Knave" and Sir Walter on a wild tale of mistaken identity, kidnapping, bowling, and a rug that, in faith, really tied the room together--in a sidesplitting Shakespearean comedy of errors and ninepins, told in five glorious acts of iambic pentameter and impeccable period prose. 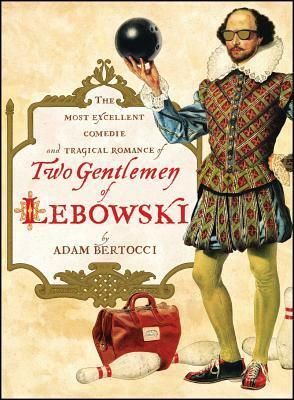 Already a theatrical hit and a worldwide viral phenomenon, Two Gentlemen of Lebowski comes alive anew in this definitive and lavishly illustrated edition, featuring recently discovered historical engravings, scholarly annotations, and a revelatory afterword from the author.